FCC said texts aren’t telecommunications, causing California to ditch fee plan. California telecom regulators have abandoned a plan to impose government fees on text-messaging services, saying that a recent Federal Communications Commission vote has limited its authority over text messaging. The FCC last week voted to classify text-messaging as an information service, rather than a telecommunications service. “Information service” is the same classification the FCC gave to broadband when it repealed net neutrality rules and claimed that states aren’t allowed to impose their own net neutrality laws. California’s legislature passed a net neutrality law anyway and is defending it in court. But the state’s utility regulator chose not to challenge the FCC on regulation of text messaging. 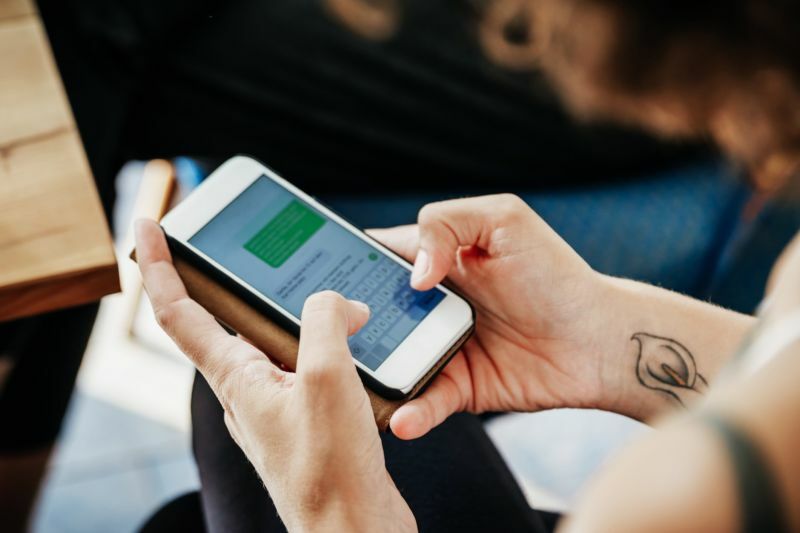 The California Public Utilities Commission (CPUC) was scheduled to consider the text-message fee proposal at a meeting next month but pulled the item off the agenda after the FCC action. “Under California law, telecommunications services are subject to the collection of surcharges to support a number of CPUC public programs that subsidize the cost of service for rural Californians and for low-income, disadvantaged communities, and provides special services for the deaf, the hard of hearing, and the disabled,” the commission said in a statement Friday. But the FCC vote “limits state authority” over text messaging, the CPU noted. “In light of the FCC’s action, assigned Commissioner Carla J. Peterman has withdrawn from the CPUC’s January 10, 2019 Voting Meeting agenda the draft decision in Docket R.17-06-023, which proposed to clarify that text-messaging service should be subject to the statutory surcharge requirement,” the CPUC said. Landline phone and mobile phone services are still classified as telecommunications services. “All telecommunications corporations and Voice over Internet Protocol (VoIP) providers offering telephone service to the public in California are required to assess surcharges and User Fees on end-user intrastate service revenues and to remit the collected funds to the CPUC,” the agency explains on its website. The FCC has never decided whether VoIP is an information service or a telecommunications service. Text messaging was similarly unclassified until last week. FCC Chairman Ajit Pai argues that federal law prevents states from regulating information services. But state attorneys general who sued the FCC over its net neutrality decision argue that the FCC can’t preempt states in cases where the FCC has given up its own authority to regulate. The now-abandoned CPUC proposal notes that telecommunications service revenue has been going down, even as CPUC’s budget has risen. This means the surcharge for each phone customer has gone up, from 1.88 percent in 2011 to 6.68 percent in 2017. “Parties supporting the collection of surcharges on text-messaging revenue argue that it will help preserve and advance universal service by increasing the revenue base upon which Public Purpose Programs rely. We agree,” the draft CPUC proposal said. The funding helps pay for the Lifeline program that helps poor people obtain telecom services, including text messaging, the CPUC said. “Wireless customers receive a benefit from surcharges on text messaging, because the funding pays for text-messaging service for Lifeline customers,” the draft CPUC proposal said. The proposal argued that “surcharging text-messaging revenue is ‘not inconsistent’ with federal Universal Support funding.” However, that was written before the FCC classified text messaging as an information service. Pai claimed that the new classification of text messaging will ensure that cellular carriers are legally able to block robotexts. But carriers were already allowed to block robotexts before the FCC change. Critics of the decision warned that it could allow carriers to censor political texts or block legal messages in order to extract more revenue from senders.